2018 O/L exam results will be released before 28th March 2019. 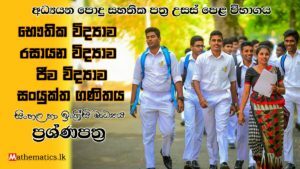 Therefore you can check your results following mathematics lanka education. Above all in 2017 O/L results released before April. So this year department of examination announced they trying to release 2018 O/L exam results before 28th March. Therefore 2018 O/L exam results will release in this month. Also you can read our following post about 2018 O/L examination.